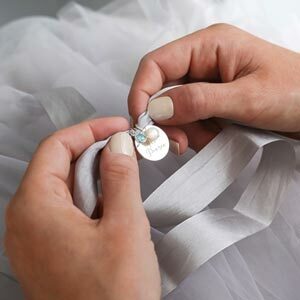 The Personalised Crystal Star Necklace features a beautifully delicate star pendant that sparkles with embedded crystals, on a fine trace chain. Give this symbolic necklace to someone you love this Christmas. Featuring a delicate five point star and fine diamante crystals on a fine trace chain, this necklace is perfect for shining like a star. 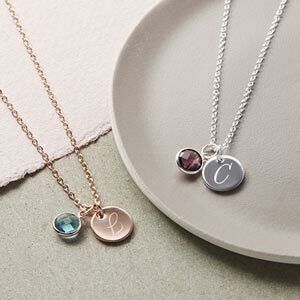 Complete your necklace with an engraved 8mm charm that can be lovingly added to the chain extender. Both the disc and chain are made from champagne gold, rose gold or silver plated alloy.